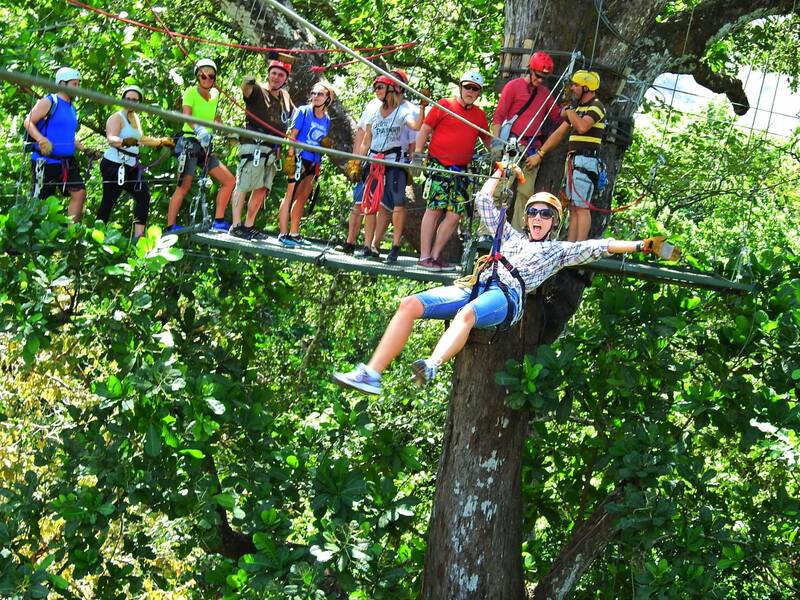 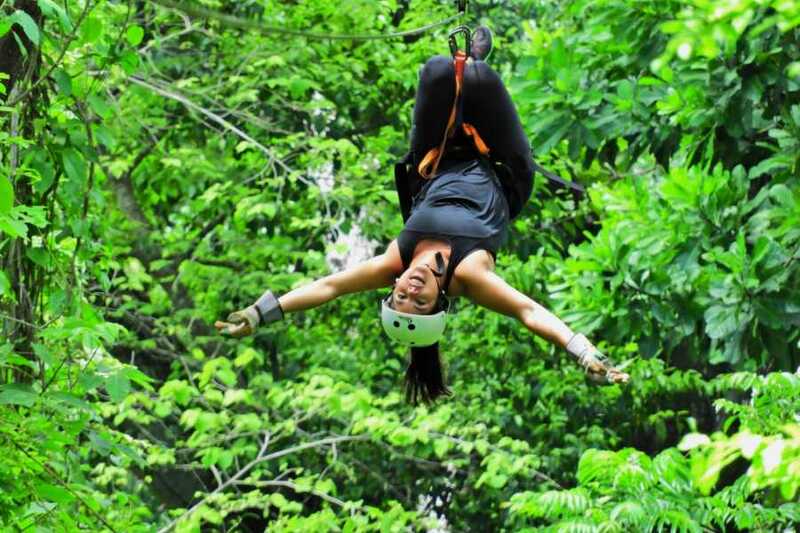 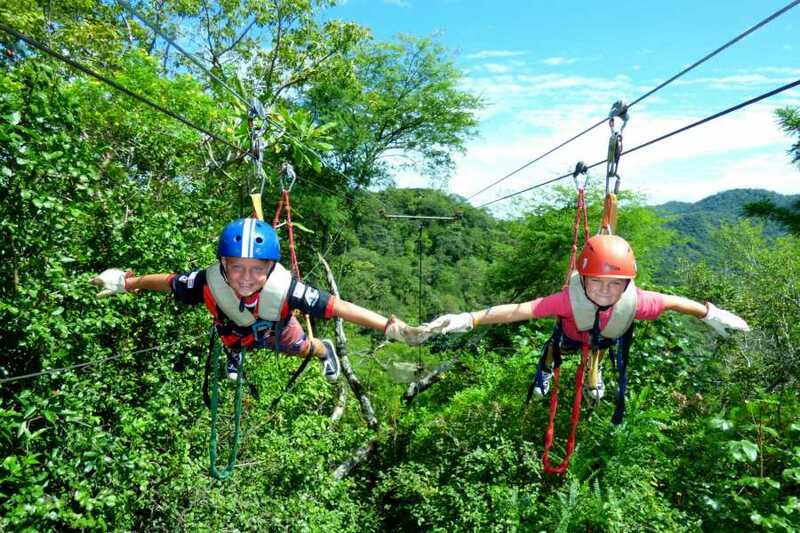 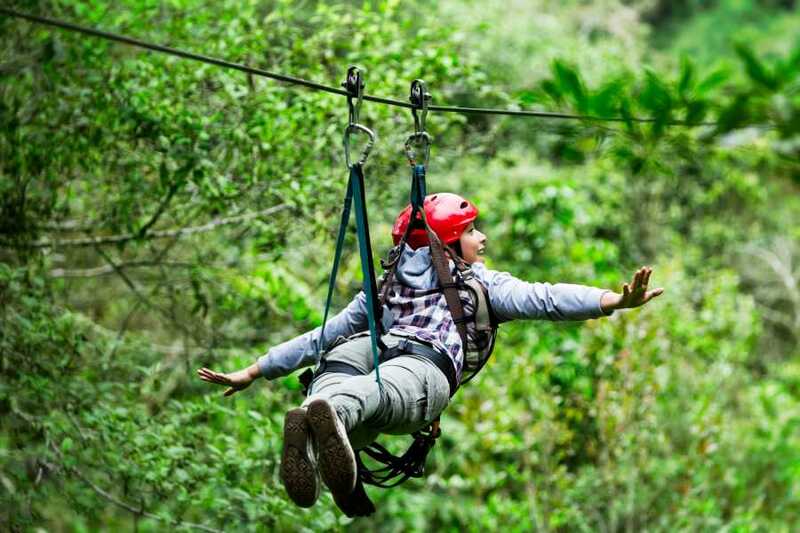 Canopy Zip-Line and Monkey Sanctuary ATV Tour - Congo Trail Canopy Tour, Your family friendly experience providing canopy zip line tours in Guanacaste, Hanging bridges, platforms, rapelling and extreme superman zip lines and tarzan swings to visitors visiting Costa Rica. 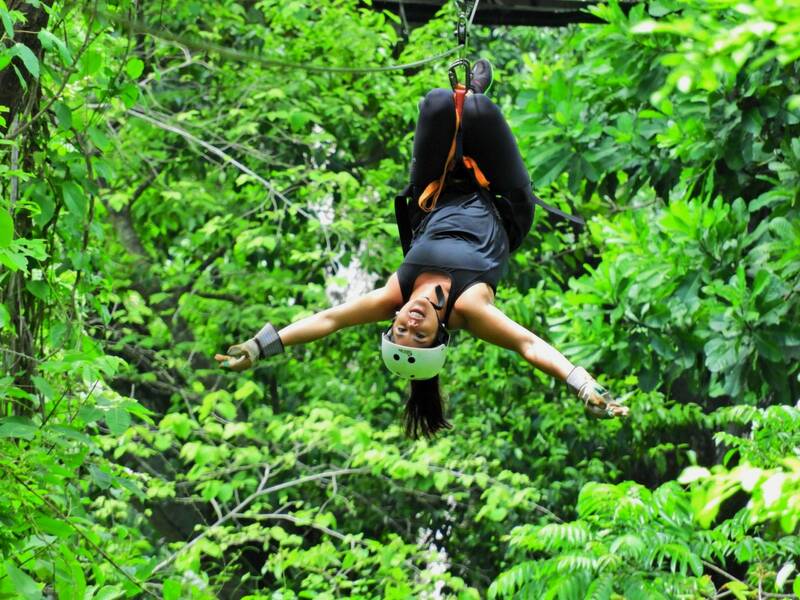 After canopy zip-lining visit the world famous monkey sanctuary. 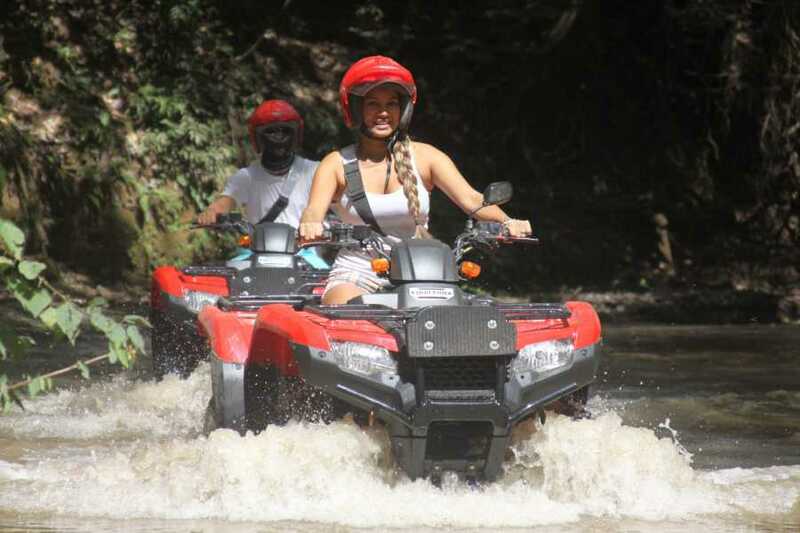 Located at our same facility it is considered to be one of the best Guanacaste tours you can find. 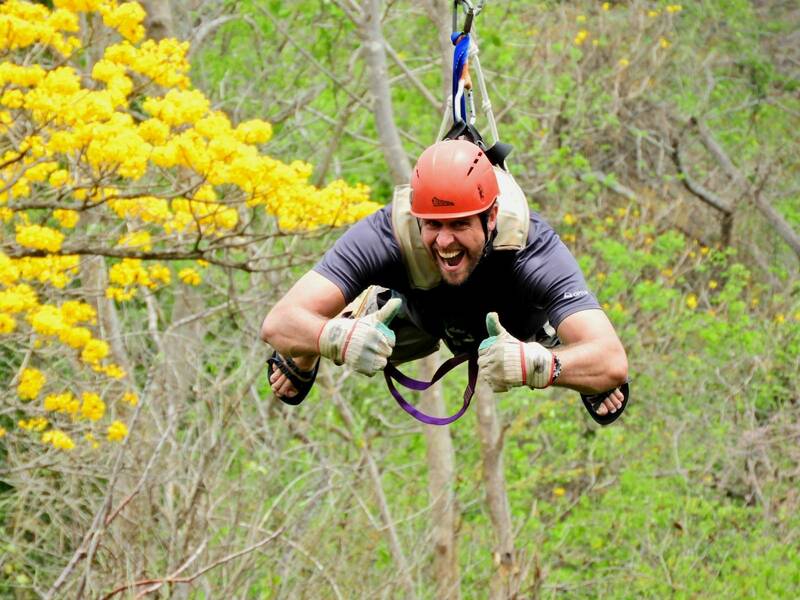 Choose you own adventure! 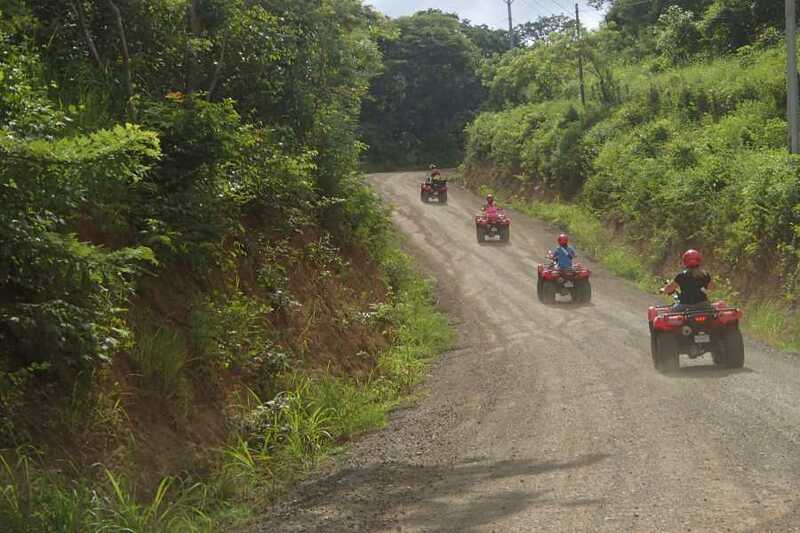 With this special tour you are able to choose exactly how you want to fill your 4 hour tour. 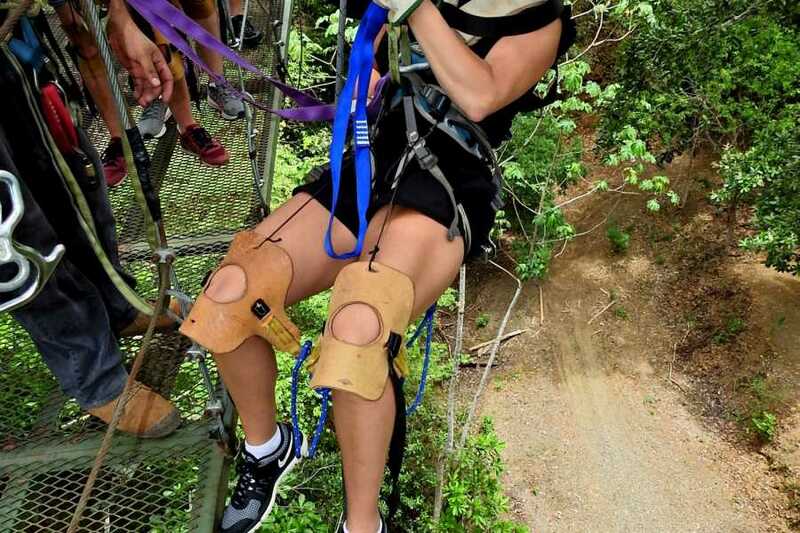 The first choice you get to make is whether you want to take our amazing original zip-line tour of 11 lines and three hanging bridges, all with gorgeous views. However if you are an adrenaline junkie you may want to choose our extreme zip-line tour option. 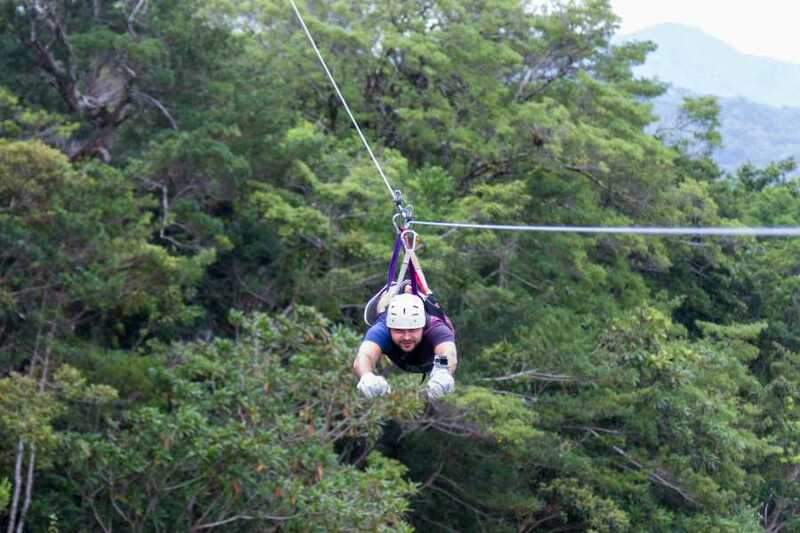 This option includes radical attractions from our tarzan swing to superman ziplines. 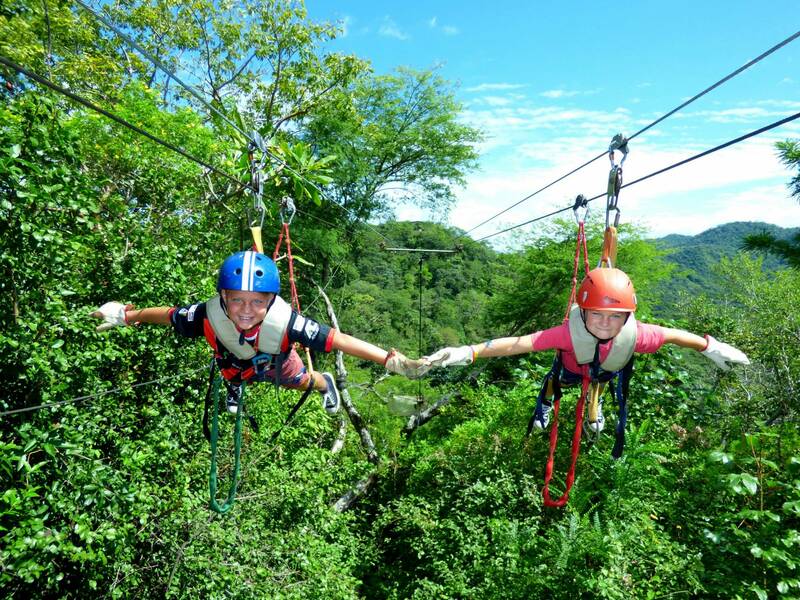 Once you have chosen which zip-line course you would like to take you now need to decide how to spend the next 2 hours of your day. 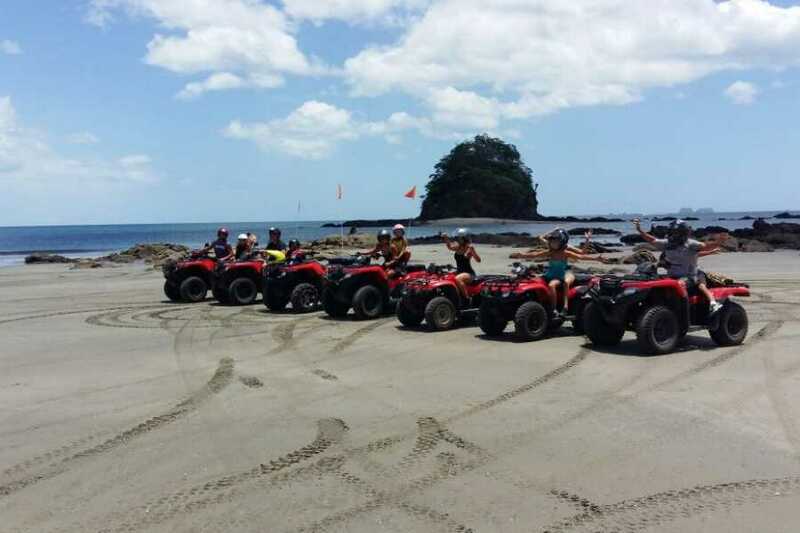 Are you a beach enjoyer or a mountain explorer? 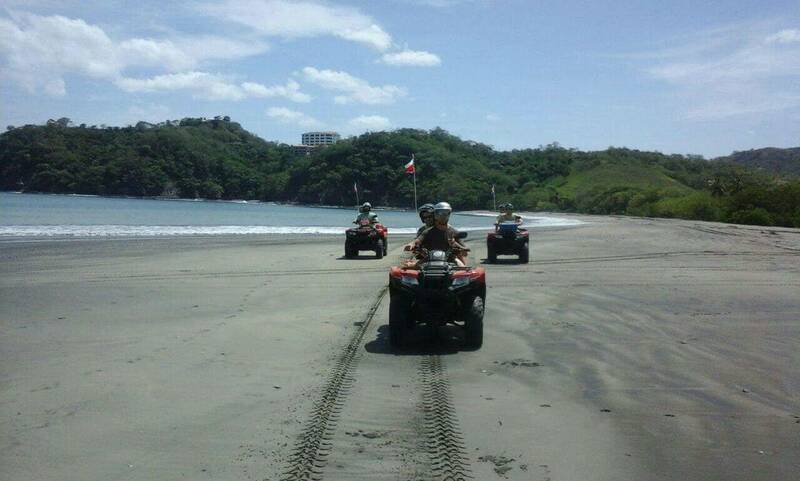 If you are here to see the beautiful beaches of Costa Rica then you can choose our beach enjoyer option. With this option we will take you to private beaches that are only accessible by ATV. 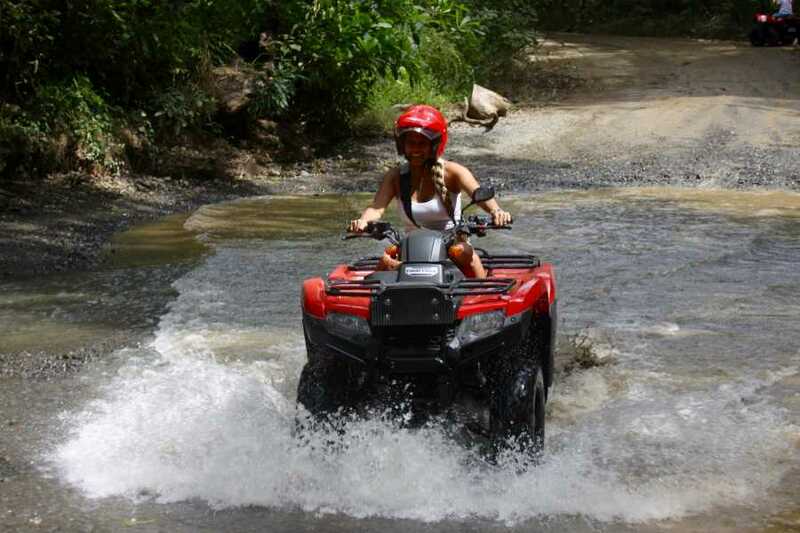 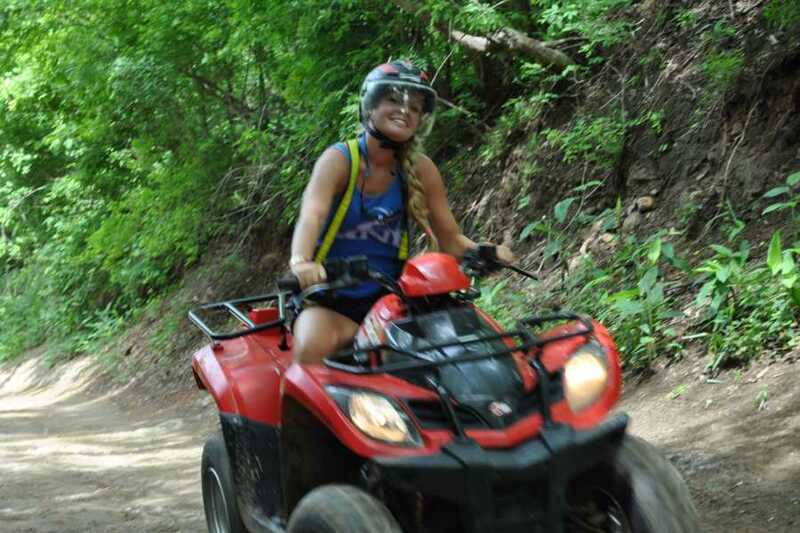 However if you are a mountain explorer, ride through Guanacaste's mountains and view the authentic Guanacaste region. 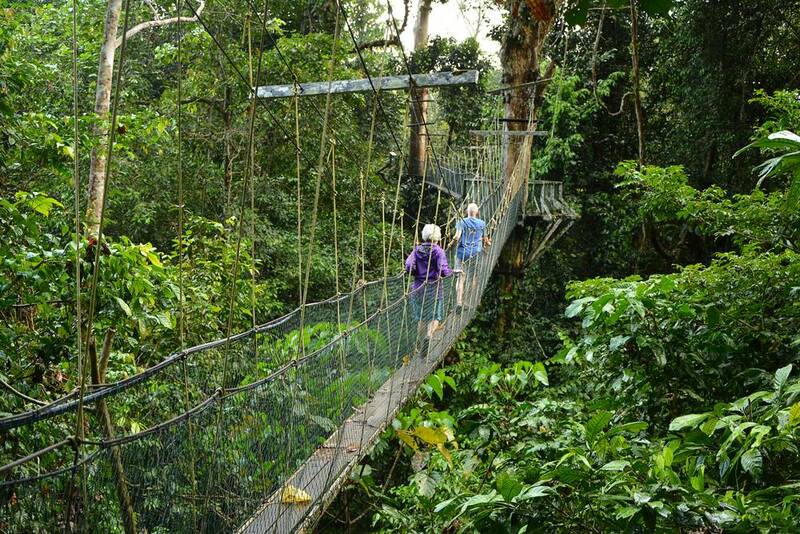 The last stop is at the Monkey Sanctuary. 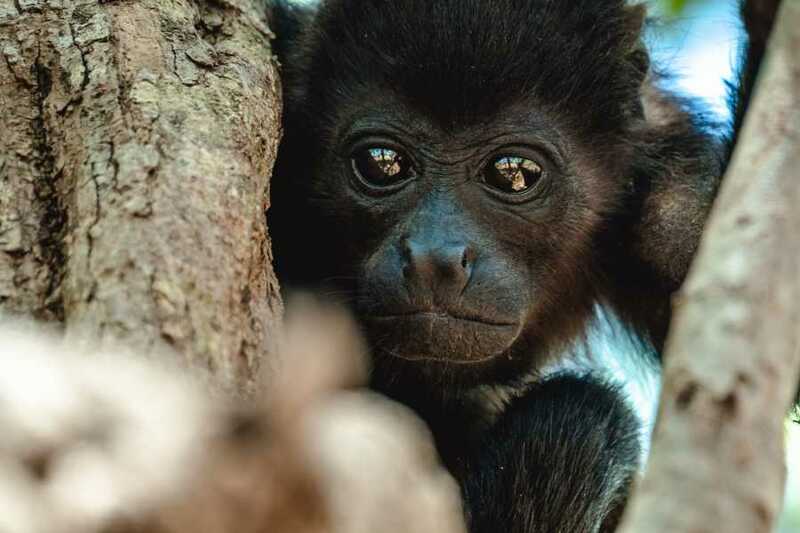 About the Congo Trail Monkey Sanctuary: Orphaned baby monkeys are not always adopted by another family of monkeys, but if they are found in time they are brought here. 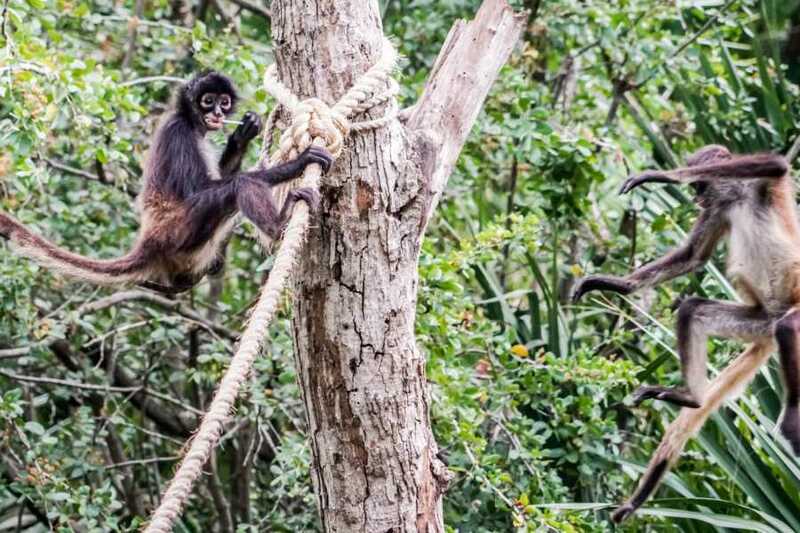 They usually haven't developed the skills to survive in the wild so the Monkey Sanctuary become their permanent home. 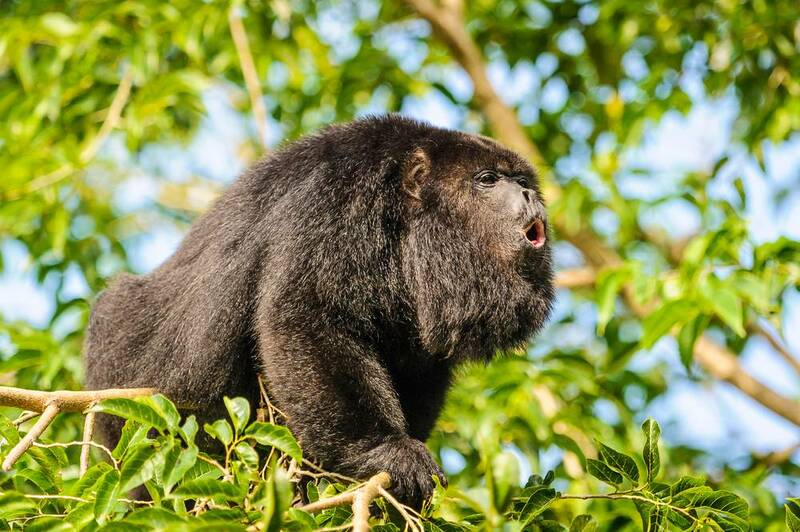 Here you will be able to visit with a couple of different species of monkeys, including the famous Howler Monkey. 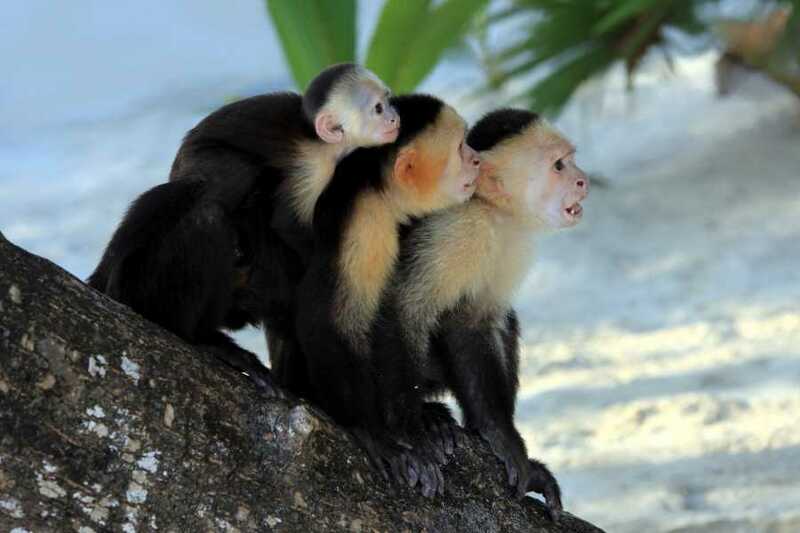 You are able to feed these amazing animals. 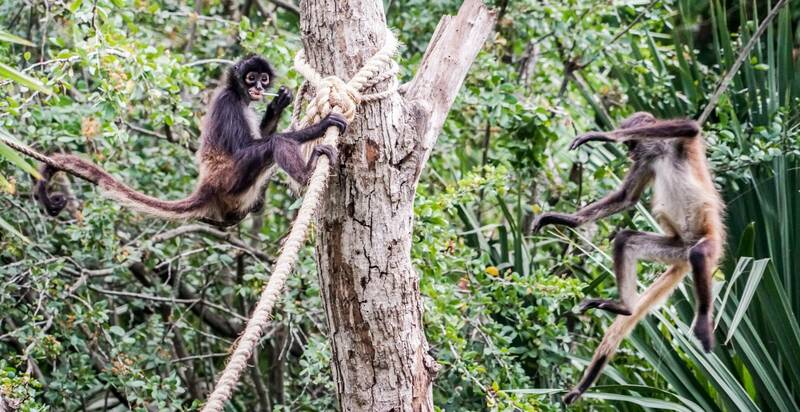 The Monkey Sanctuary rescues more than just monkeys. 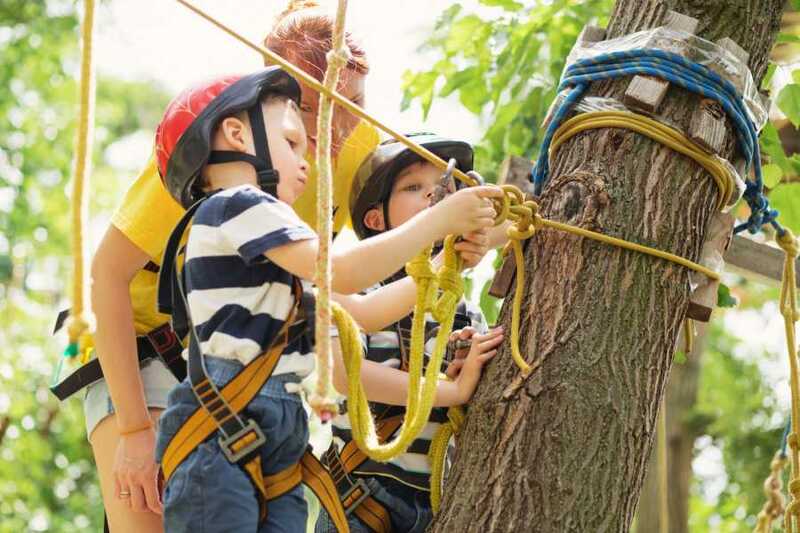 There is a petting zoo with sheep, horses, and a bull! 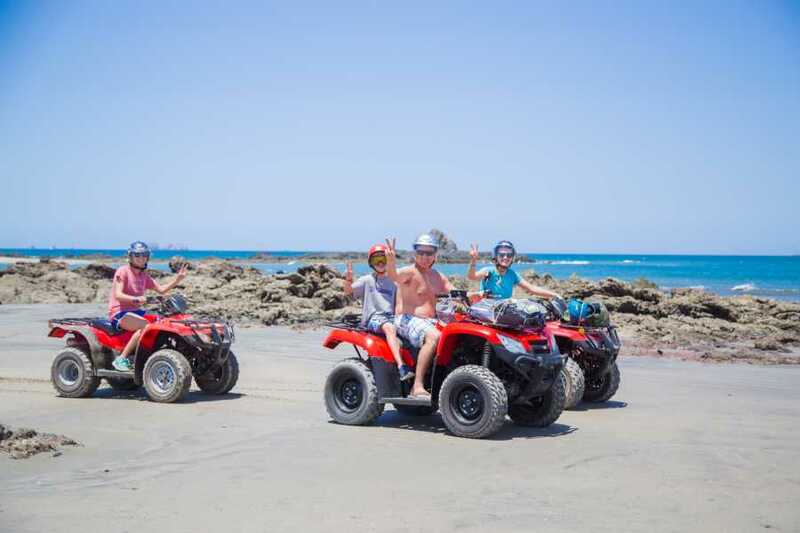 We will either pick you up* or you can meet us at the tour start point. 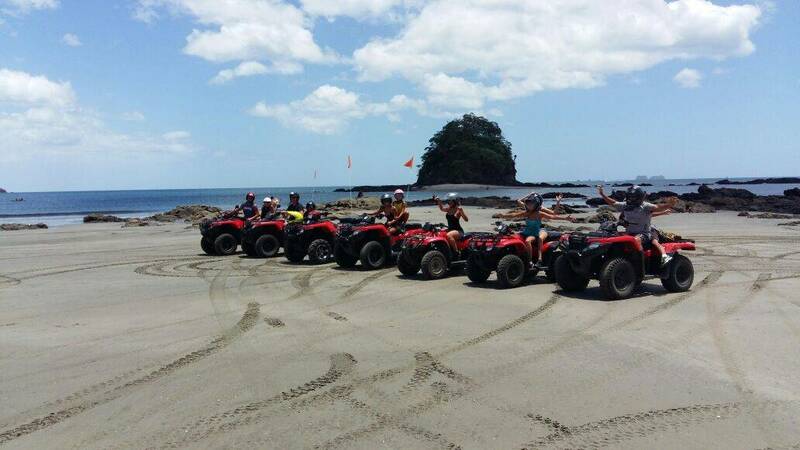 The tour will start from our location and you explore for two hours and end the tour back at the start point. 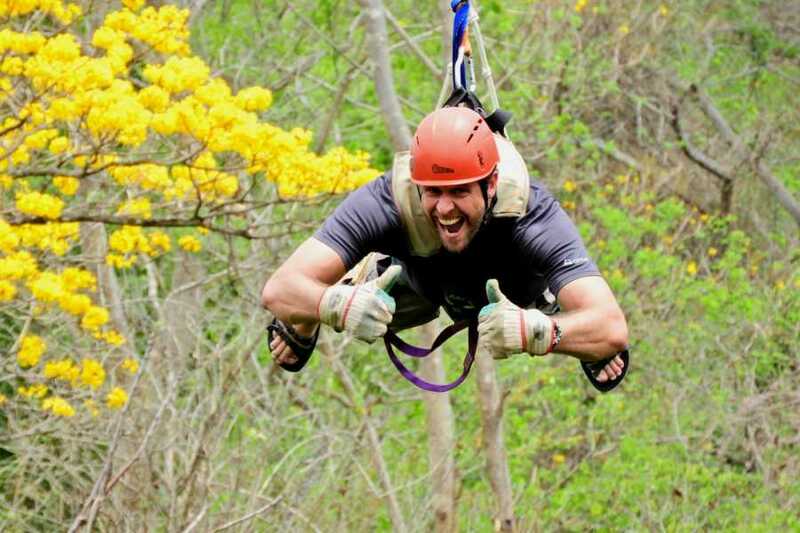 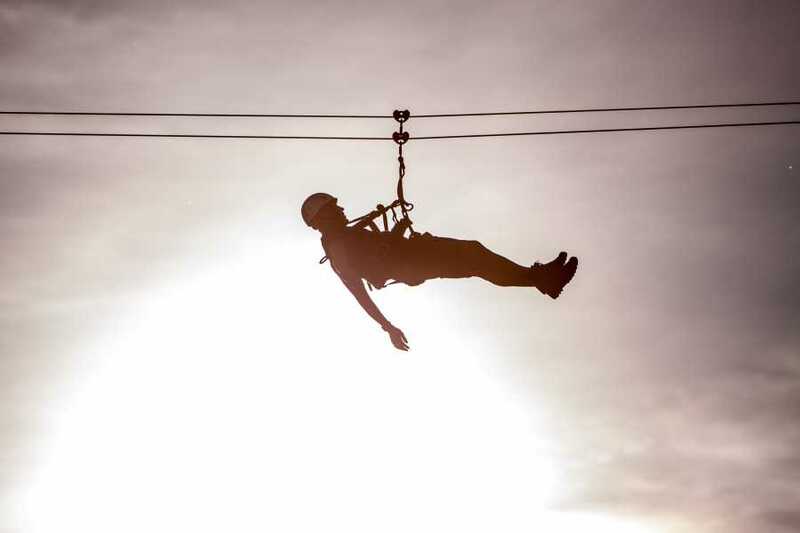 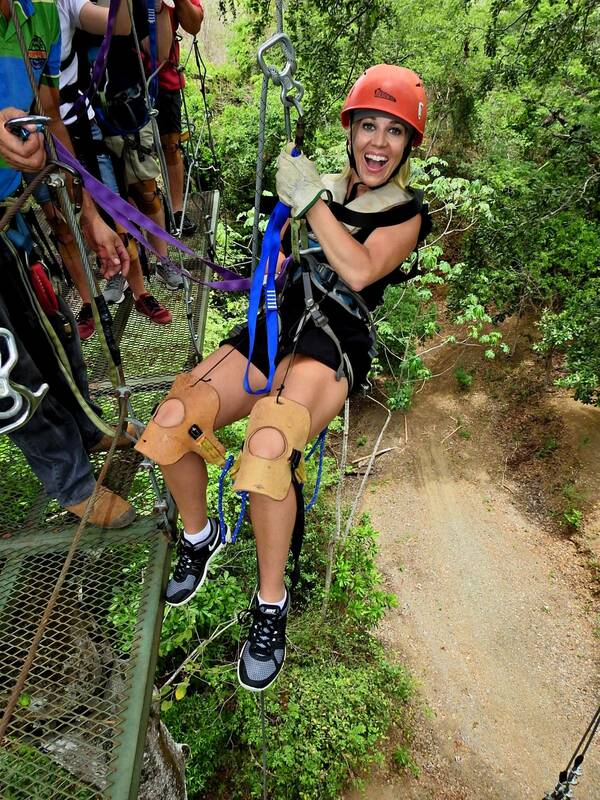 You will choose from extreme or original zip-line and complete our guided course. At the same facility is our monkey sanctuary. 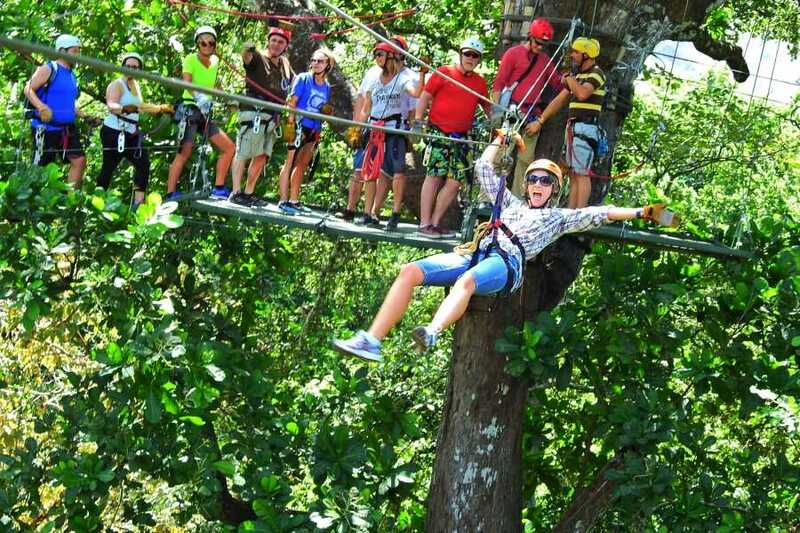 Waiting rooms, bathrooms, lockers, snack and gift shop. 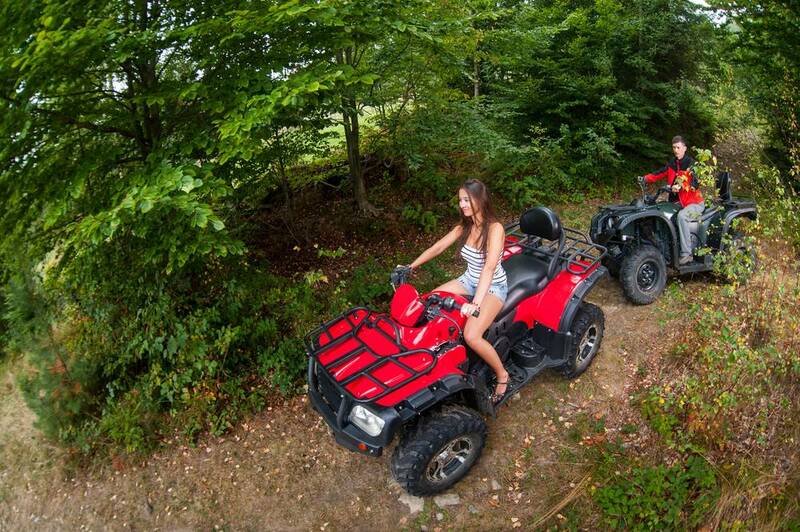 Once back at the office, if you used our transport, we will take you back to where you are staying. 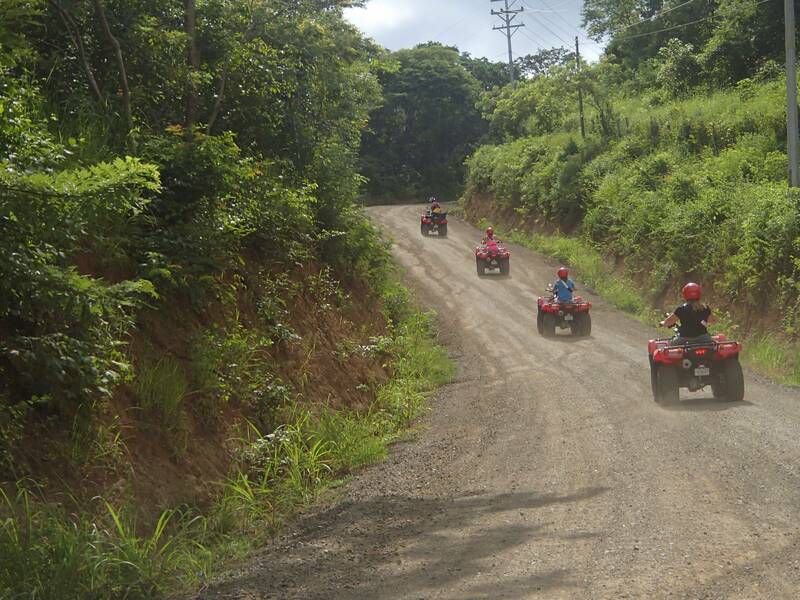 Parking is availble free of charge if you came to our facility with your own transportation.